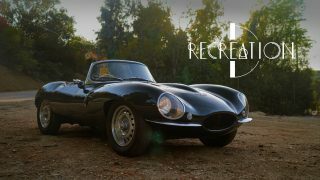 Recreating a factory race car from the 1960s is no simple task—for Jason Len and his 1964 Jaguar E-Type, the challenges were no different. 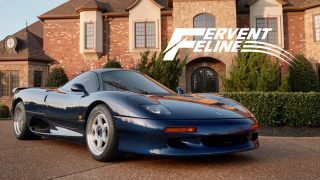 The hours and materials to build something of this magnitude far exceed any dollar amount that could be recouped from the finished car's sale, but this is irrelevant for Jason. To him, the idea of owning and recreating this car is simply about chasing a dream. He devoted his life to Jaguars, so when it came to deciding whether or not to build the car, there was no other choice that could be made. 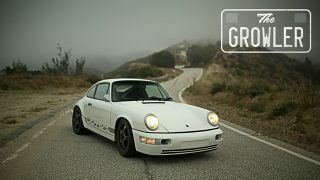 What began as indifference quickly morphed into an obsession.It also turned owner Alex Bermudez from a water-cooled Porsche driver into one who describes his 964-based “hot rod” The Growler as “unapologetically raw”—and just the thing for slaying tight mountain passes. 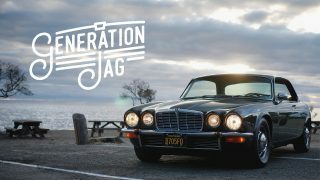 Jason’s brilliant Jaguar impresses me far more than the infinite number of E-Types I saw when I lived in England. Would love to see another video of the outlaw XKE he exhibited to Jay Leno – this time driven on the road. 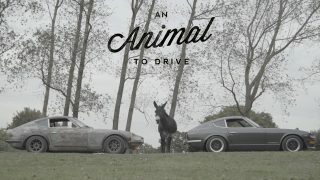 Nicely produced, caring video of a beautiful car. 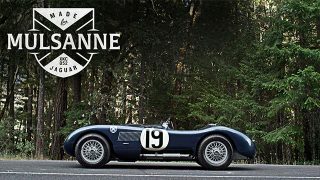 It reminds me of Briggs Cunningham’s light-weight E-Types which he raced at Le mans in the early ’60s. I was lucky to have worked for Briggs at Le Mans in 1962, where his Jag finished 4th overall, first in class. It was a stunning car to see in person; very purposeful, yet visually stunning as well. Sounded pretty good, too. I was quite enamored with this car when I saw it at that event too. What an aboslute beauty ! And the few battle-scars it has only make her more stunning. Another great car and another cool story. Was never much of a fan of the E TYpe when I was growing up, I always thought it looked a bit odd with the narrow track and upright windscreen. Now I think they look great especially on the Dunlop(?) alloys. 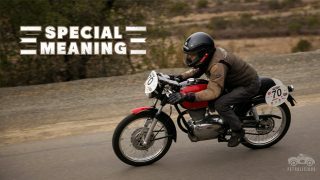 Interested in the the street ‘outlaw’ E Type that Jason did a static video with Jay Leno a few months back. 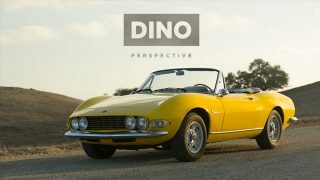 Any chance of that car getting the full Petrolicious video treatment? is that an X 1/9 coolant bottle? Uh, maybe this is an “engineer thing”, but anybody who suggests emotions don’t come into play with a car like this is delusional. It’s not limited to women. “Clair de Lune” – perfect music selection. I like the style and editing changes from previous videos, too. Brilliant! Wonderful intro and this as a fantastic video. Up there with Loud & Fast Art. His use of the word ‘trick’ in this video is really fun. I’ve seen pictures of this car for a few years and had no idea what it was, glad to know the details. Also, as far as nothing making more power, handling better, or braking as well in 1962… well, the 300 SLR has some things to say about that. 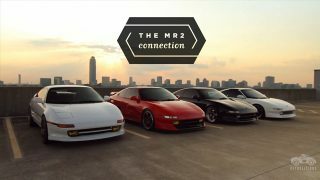 Why doesn’t every car sound like that? That straight six is a pure music!